I haven't had him around to call me anti-Christian in quite some time. Has he been banished for his language? If so I hope his banishment over soon as any permanence would be a heavy loss for this message board. That's decent of you to say. I feel the same no matter who it is...which is why my Ignore option has never been considered and I've never btched about anyone to the OPPolice. I've spent a few days in the penalty box. I've been there twice for a week each time. I can't imagine his punishment would be any worse than mine and we've already lost Loki so I would hate to see another one of our better contributors go--especially for something as minor as the way we speak to each other. I mean, I have never complained about him and his language towards me was as bad as one can get. It would seem that if we can tolerate each other than whoever is moderating would be able to give us some slack. Been there done that. Still waiting for my t-shirt. I can remember Sicilian thing was suspended for 6 months 2 a year or something like that. I'm glad he came back. It does seem some have been removed. And others just plain left this site. There are the select few of us who remain in contact outside of this site. It seems that language and topic content is reviewed and censored on this site possibly by Mother Superior. 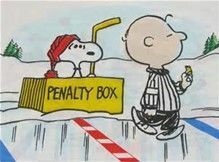 I believe we are all adults here and if we use adult language we end up in the Penalty Box. They need us more than we need them. Yes the one who would whack small children across the knuckles in the Catholic schools decades ago. For acting up in class. Yes these things did happen but not to me. I had a friend growing up who got it. How do schools get away with these things I don't know. And truths. Now ideas being pushed by the liberal left who ignore real history and push their radical ideals.